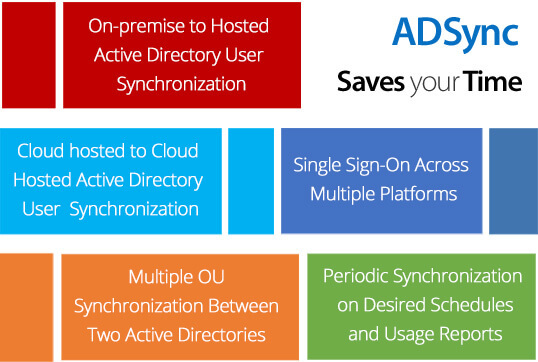 MachPanel Automation Tool for Active Directory Synchronization | MachSol Inc.
MachPanel Tool for Directory Synchronization consolidates one Active Directory with another. It performs one-way synchronization and keeps your cloud user accounts updated. MachPanel makes its extremely easy for you to synchronize your AD users between multiple platforms and leverage Same-Sign-On benefits. MachPanel Tool for Directory Synchronization comes with artificial intelligence to automatically map the hosted and on-premises users on the basis of known attributes (user principal name, display name). It allows on-premise active directory admin to automatically sync newly created local or on-premise active directory users to sync with hosted active directory. Hence, it reduced the time, efforts and keeps your active directory sync all the time. Starting at $49/month. Get Started Today! View minimum service requirements for MachPanel Tool for Directory Synchronization. View Pricing and Packages or contact Sales for details. Firstly, you pay a one-time setup fee for MachPanel Tool for Directory Synchronization. After this you subscribe to Subscription packages.